Begrenzt den Zugriff zum Forum auf bestimmte IP-Adressen und/oder IP-Bereiche. Um IP Begrenzer zu installieren, lade die extrahierte Datei in das inc/plugin Verzeichnis hoch und aktiviere das Plugin über das Admin-Control-Panel. See the ReadMe.txt in the download for installation instructions. 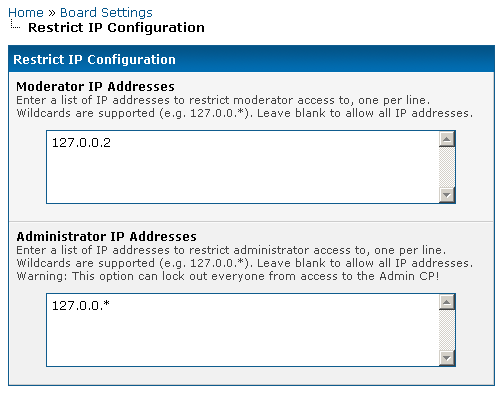 Restricts moderator and/or administrator account access to specific IP addresses. ITC Is A plugin that adds a flag next to the username of the country they are in based on the IP Address. It Will Place a Flag Of the Country The user made the forum Post From, Under the users Name.